Gluten free, also dairy and egg free. slightly sweet. Rice flour and kudzu powder (9: 1) 120g, almond poodle 20g, baking powder and 1 tsp. soy milk 120 ml, white sesame oil and coconut oil 40g, Morace syrup 1 tsp, lemon juice 20g. firm tofu (drained), ripe persimmon 1, cinnamon 1 tbs, maple syrop 1 tbs, and a little seasalt into a blender. Mix DRY ingredients, then put DRY ingredients except for lemon juice, mix a little then lastly put lemon juice. Bake by oven 180℃ for 10 min then 170℃ 15 - 25min, ( my oven is not strong, so it is better to bake more ). 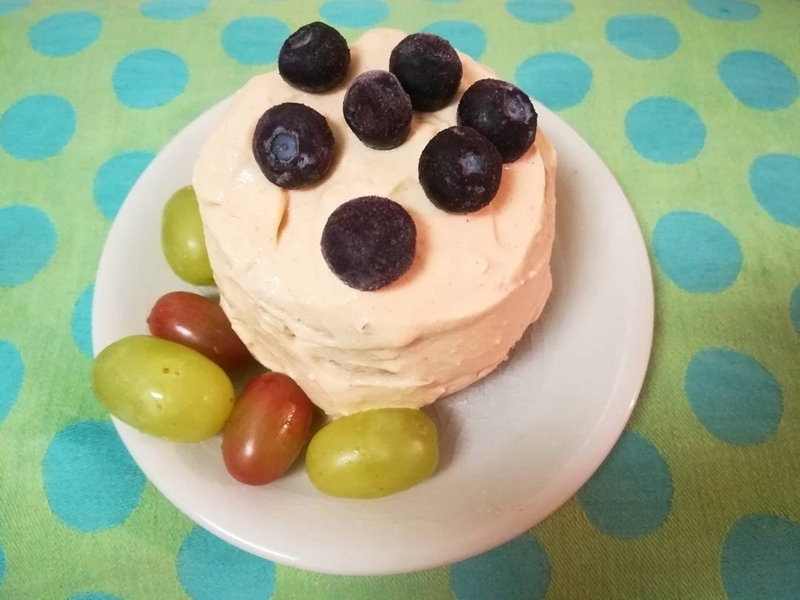 after cooling, decorate by tofu cream and fruits.